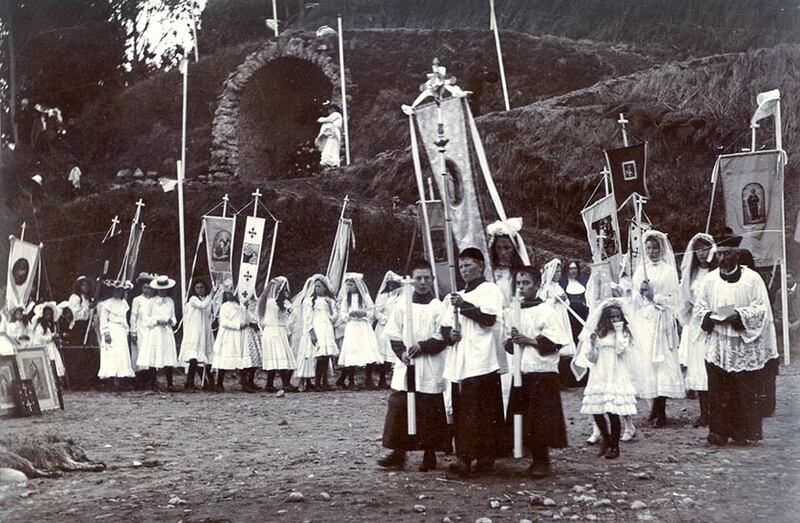 Young members of St Mary's Catholic church in Ōtaki, north of Wellington, parade with banners in this Society of Mary procession, around 1905. On the right is Father Francois Melu of the Society of Mary. In the hill above them is a grotto, a recess in the earth used as a shrine and housing religious statues and other iconic figures. Processions such as this marked the sacred days of the Catholic calendar, which generally followed northern-hemisphere rather than local seasons.